These first half photos showcase Georgia's talented freshman like tailback Sony Michel (#1), who scored three touchdowns and tallied 138 yards on 7 carries. Classmate receiver Isiaah McKenzie (#16) added an electric 52-yard punt return TD as well before the break. The Bulldog defense was way too much for their Sun Belt Conference visitor. 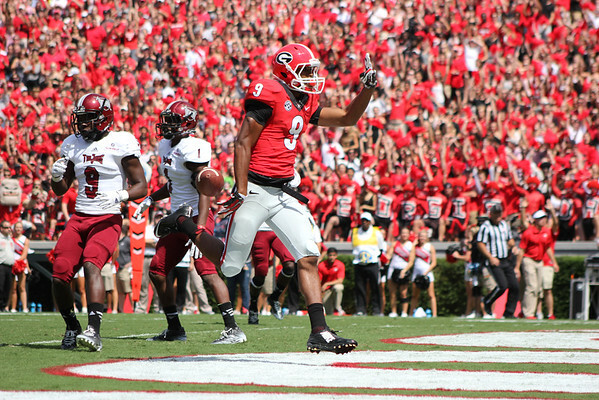 UGA led 45-0 at halftime.